Tippet Rise is made up of 12,000 rolling acres of grasslands and canyons. We lease sections of it in the summer to Ben and Jamie Lehfeldt and their parents Marie and Bob, who bring in 1,200 head of Rambouillet sheep and 300 calf-cow pairs to graze the lush grasses that grow here. The sheep help eradicate the noxious weed, leafy spurge. 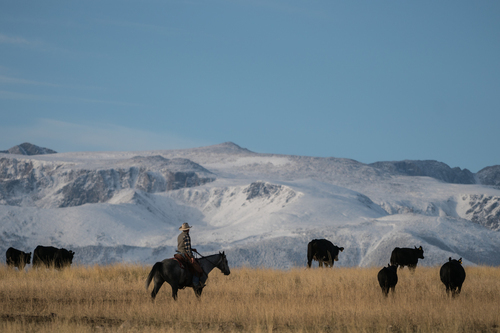 And we have our own cattle program, which will eventually produce enough cattle to provide for our guests on the ranch, as well as help regenerate healthy native grasses and reduce wildfire hazards. We have improved animal husbandry and weed control and have developed roughly thirty water improvements here so far, including eight solar well systems which have improved our ability to disperse livestock across the ranch. 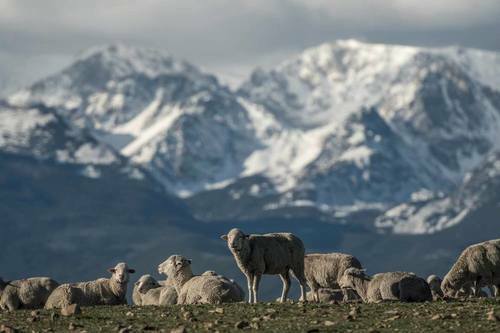 Each summer, Tippet Rise offers an agricultural internship program to students from Montana State University. 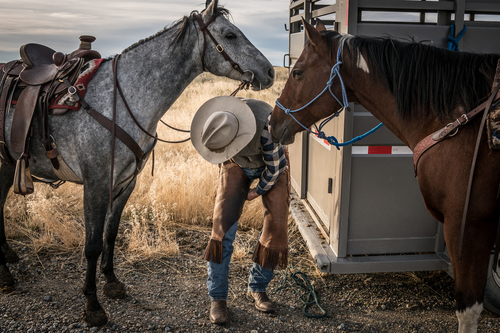 Montana’s agricultural traditions are longstanding and rich. Our goal is to sustain them here at Tippet Rise, and to be good stewards of the land we are so lucky to inhabit.